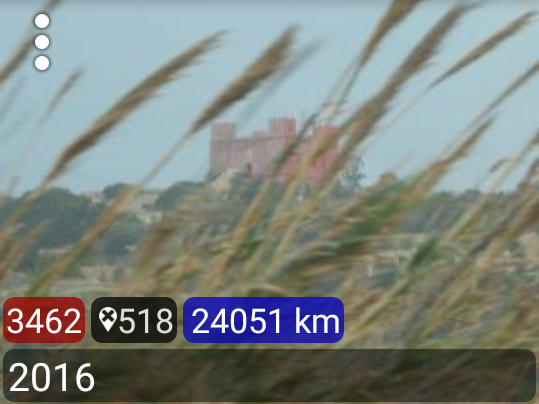 PhotoMap now displays distances covered for most time-based groups: Diary, Trips, Last, Days, Weeks, Months, Years, Lookback. HINT: Please make sure that geologging is activated to use this feature. You can activate the geologging by tapping on the interval timer at the top of the left main menu and checking the box ‘Log Geo Positions’. Activate the location updates checkbox and select an interval, e.g. 10 minutes, to get better results. The lower the interval (e.g. 1 minute) the higher the energy consumption. What do we see in the screenshot? Next story Where Do You Spend Your Time?